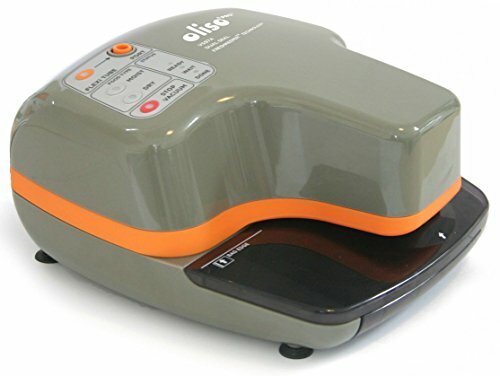 The Oliso Outdoor Pro Smart Vacuum Sealer is powerful enough for commercial use, yet compact enough to easily fit on your kitchen counter or in any drawer. The revolutionary PUNCH-&-SEAL technology combined with the heavy-duty multi-layer constructed bags keeps food fresh 5X longer, reduces food waste, and saves you hundreds of dollars a year on groceries. The Oliso Pro Smart Vacuum Sealer also features a no-touch start system, which allows you to just insert a VAC-SNAP bag and the vacuum sealer does the rest. Works great for microwaving, simmering and sous vide cooking. Advanced functions include a moist mode liquid detection feature, which allows for greater precision when sealing wet foods or liquids. Dry mode allows you to seal dry goods, such as herbs and spices. Stop & seal mode works great for soft/fragile foods and the flexi tube attachment seals bottles and jars with ease. The large drip tray is removable and easy to clean. The pre-made heavy duty VAC-SNAP zipper top bags are resealable up to 10 times, BPA free and made of #7 recyclable material. Includes 1 Oliso Pro Smart Vacuum Sealer, 1 Water Resistant Carrying Case, 1 Flexi Tube, 1 Magnetic Zip Disc, 1 12 foot 12V DC Power Adapter, 5 Large VAC-SNAP (1 Gallon) Bags. Backed by a 1 year limited lifetime manufacturer warranty.